WeWork is hosting ‘We, the Creators’, a startup event in Dublin in the lead up to its global Creator Awards. In celebration of the 2018 Creator Awards, WeWork Dublin will host an event called ‘We, the Creators’ on August, 29. The Creator Awards, run by WeWork, is a global showcase of the Mavericks and makers who “make it their life’s work to disrupt the ordinary in pursuit of the extraordinary”. The purpose of the Dublin event is to “inspire people from diverse and different backgrounds to do innovative things with startups”. 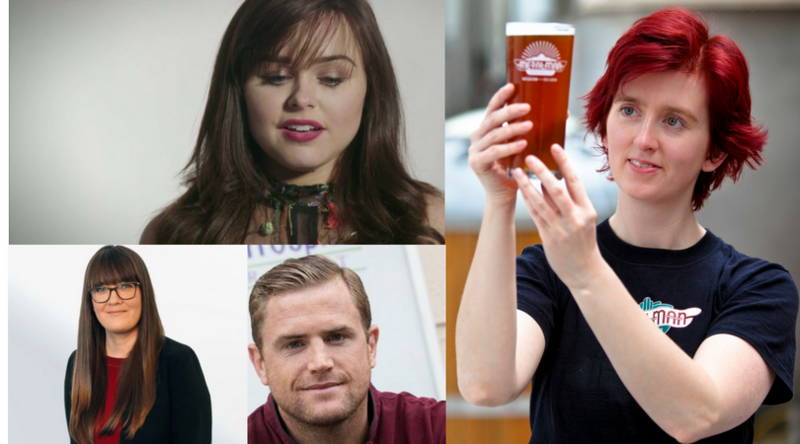 The Dublin panel will be hosted by Newstalk’s, Jessica Kelly (pictured bottom left) and will feature investor, Jamie Heaslip; entrepreneur Ailbhe Keane of Izzy Wheels; and the founder of Metalman Brewery, Gráinne Walsh (pictured right). You can register here to attend. If you are interested, you can find more about The Creator Awards here and the $360k in funding that the winners can receive. WeWork’s first Irish location at Iveagh Court quickly filled up and four further locations have been announced in the past months. These locations include Central Plaza, George’s Dock, Dublin Landings and 5 Harcourt Road. WeWork, the space and services provider, was founded in 2010 in New York by Adam Neumann and Miguel McKelvey. The business currently has over 253,000 customers using over 280 locations worldwide, from Los Angeles to Jakarta.